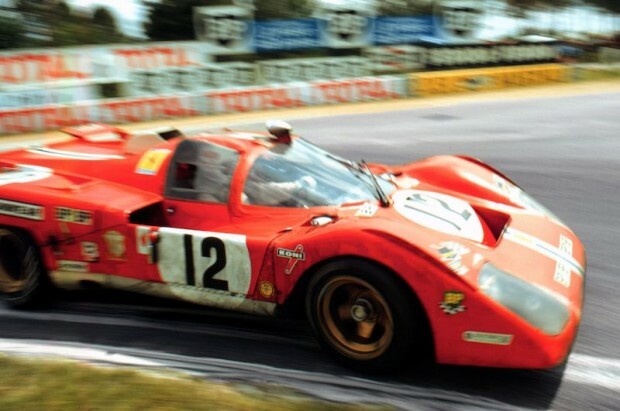 Los Angeles, CA– As renowned a career as Sam Posey made for himself as a race car driver, he’s spent far more time as a motorsports observer, albeit a highly qualified one, either as a commentator or writer, and it’s for that latter role that the Motor Press Guild recently honored him with its annual Best Book of the Year award for 2015. 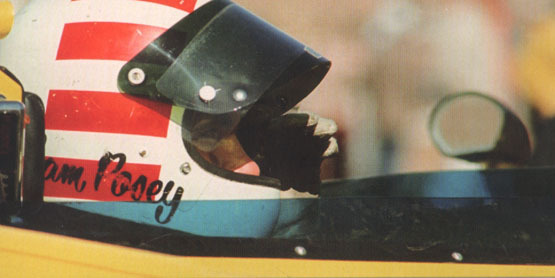 Posey, who raced from 1965 through 1982, began his professional writing career with an article for Road & Track in 1968 and has gone on not only to write for Sports Illustrated and to pen his autobiography, but also to serve as a racing analyst and commentator for ABC Sports throughout the 1970s, 1980s and 1990s, covering everything from the Indianapolis 500 to the Olympics to the Iditarod. 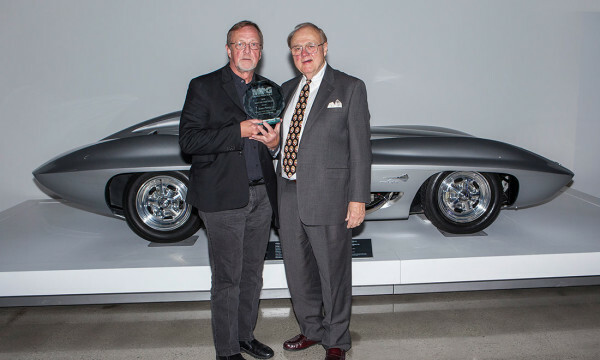 The Motor Press Guild presented Posey with the award at its annual awards ceremony earlier this month at the recently reopened Petersen Automotive Museum in Los Angeles. For more than 40 years, racing fans all over the world have followed Sam Posey’s unique career as a driver, writer, and broadcaster. 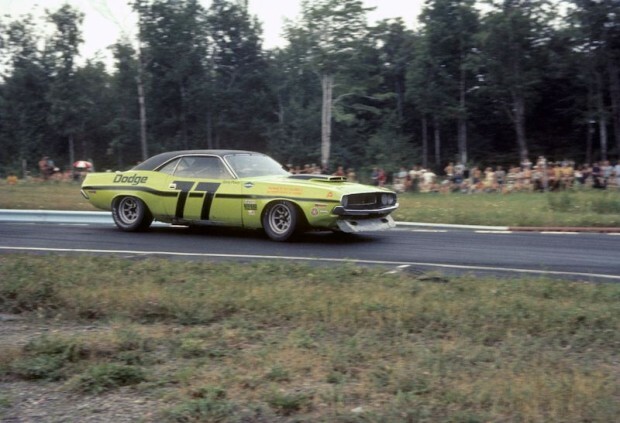 Posey wrote his first article for Road & Track in 1968, the same year he drove a Chevrolet Camaro for Roger Penske’s team in the Trans-Am series. In the 1970s he not only won at Sebring and finished on the podium at Le Mans, but also published a highly regarded autobiography. 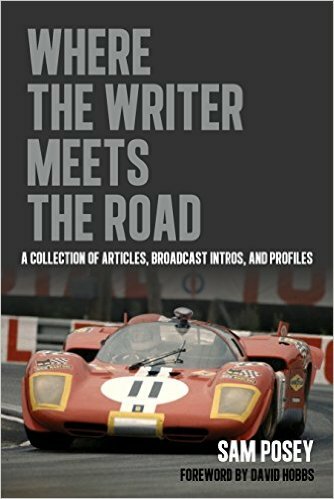 Posey retired from driving in 1982, but in the years since then his public profile has grown through his articles for Road & Track, Sports Illustrated, and other publications, as well as his work as a television commentator. In Where the Writer Meets the Road, Posey has selected the best of his work in both fields. The result is a varied mix of short and long pieces as well as examples of the shorter broadcast introductions (he called “teases”) produced for Formula One Grand Prix races at Spa and Monaco, and even non-automotive events like the Iditarod sled race. No matter what the venue or circumstances, Posey’s writing captures the excitement of racing as well as an insider’s understanding of how the sport really works, both on and off the track. It also reflects his innate curiosity and enthusiasm for a wide range of non-automotive interests such as painting, art, design and architecture. The book can be purchased on line at David Bull Publishing www.bullpublishing.com or other on-line book shopping sites.